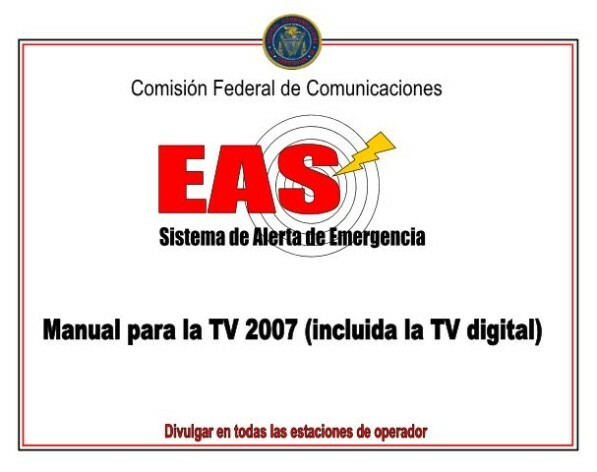 But EAS Participants have a year to advise their SECCs of what, if anything, they’re doing to provide EAS alerts to non-English speaking audiences. Of course, the various State Emergency Communications Committees (SECCs) responsible for preparing State Plans will need certain information to comply with the new requirement. So the Commission also required all EAS Participants to provide their local SECC a “description of their efforts and activities to make available EAS alert message content to persons who communicate in languages other than English”. The deadline for the first step in the process – i.e., Participants’ provision of their respective descriptions of efforts and activities – was set at a year after the effective date of the new requirement. If you’re an EAS Participant, get your calendar out: that one-year period has started. Thus far there does not appear to be any officially-endorsed template for the required “description”, but it’s possible the Commission may flesh that out sometime in the next year. We’ll keep any eye out for any news on that front. Check back here for updates. As we noted last April, the FCC is not requiring that EAS Participants actually do anything vis-à-vis foreign language EAS alerts. To the contrary, the new reporting requirement expressly contemplates that the reports may reflect simply that no steps have been taken at all – and that’s apparently OK with the Commission. In fact, that’s what the Commission seems to expect will happen. What the FCC may eventually choose to do with all this information is the real question, but we won’t know that until a couple of years from now. Stay tuned.